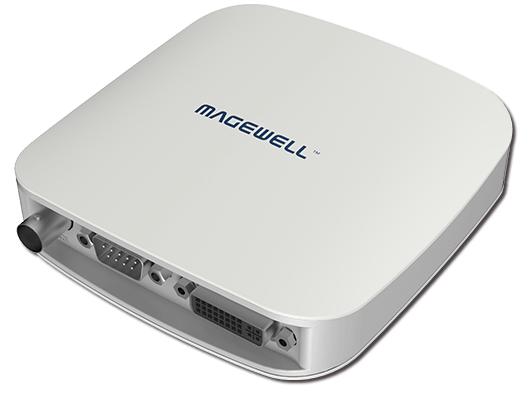 Magewell’s single-channel USB Capture AIO captures SDI and HDMI both with embedded and analog audio, and extends its functionality to DVI, VGA, Component, Composite and S-video, all plus audio. 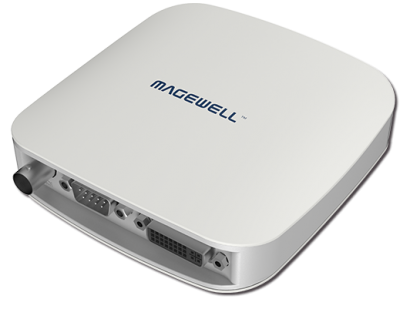 Magewell’s design philosophy includes a sleek and clean white finish, housing the leading benchmark for portable video capture devices. 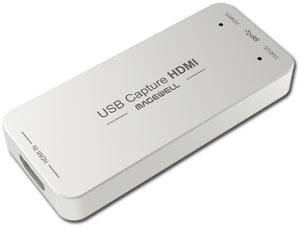 Features of the USB Capture AIO include:Support for capture resolutions up to 2K (2048×2160) at capture frame rates up to 120 frames per second, allowing for pristine definition, fluidity and with the ability to up/down scale video resolution at will, flexibility. 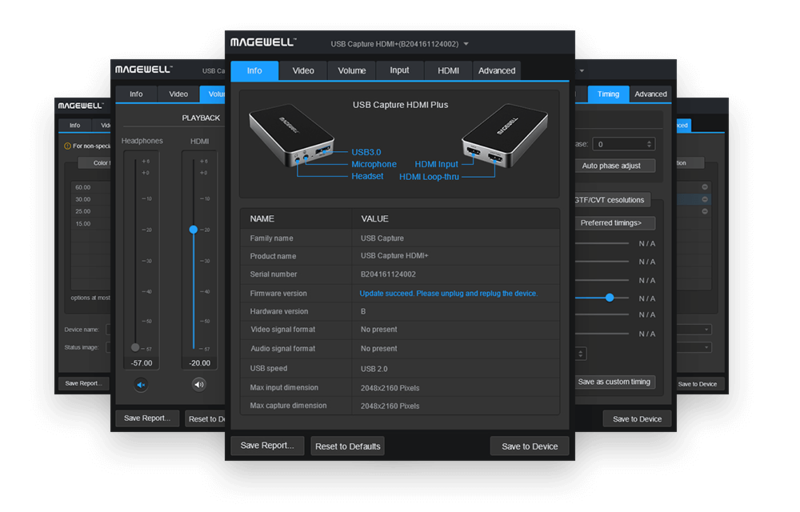 Supports a deinterlacing algorithm, converting common analog television signals or 1080i HD sources into non-interlaced form for a smooth, full-sized image. With adjustable brightness, hue and saturation, and various capture colour spaces – clarity is completely within the user’s customization. Aside from being a multipurpose ‘all-in-one’ device, the USB Capture AIO stands out with its mobility – its plug and play feature allows the user to transport it anywhere at any time with ease; or if you’re looking for something dedicated, this product will continuously function 24/7. 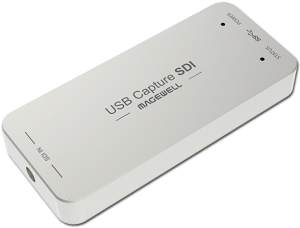 Compatible with Windows, Linux and Mac OS X, and supporting a driverless interface, the flexibility of this device provides a cost-effective, easy to use, and feature rich solution for the users’ needs in the evolving landscape.